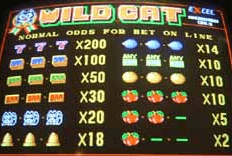 Wild Cat © 199? Excel. A slot machine for amusement only.